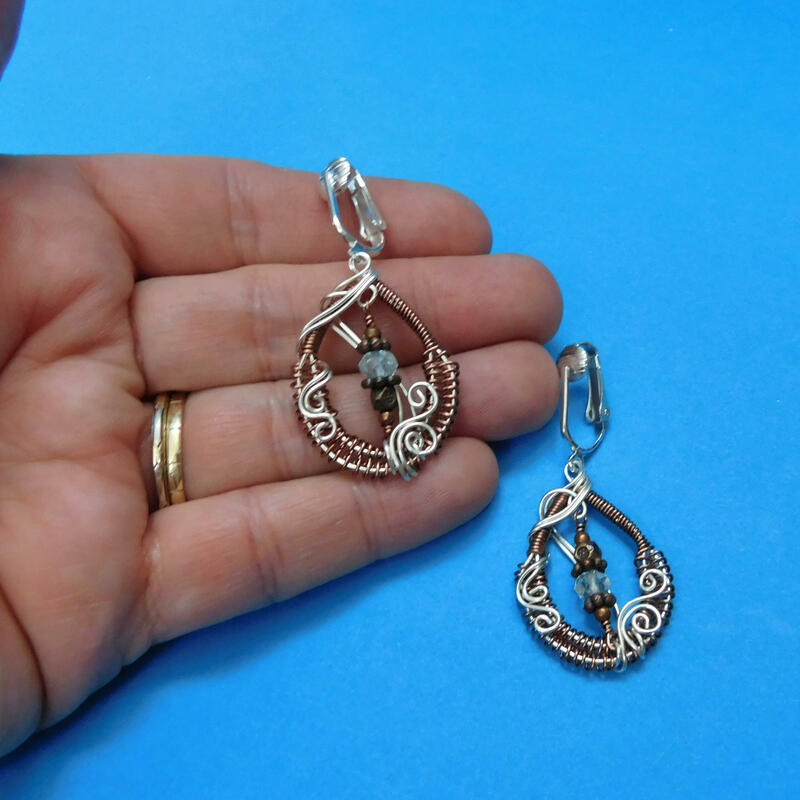 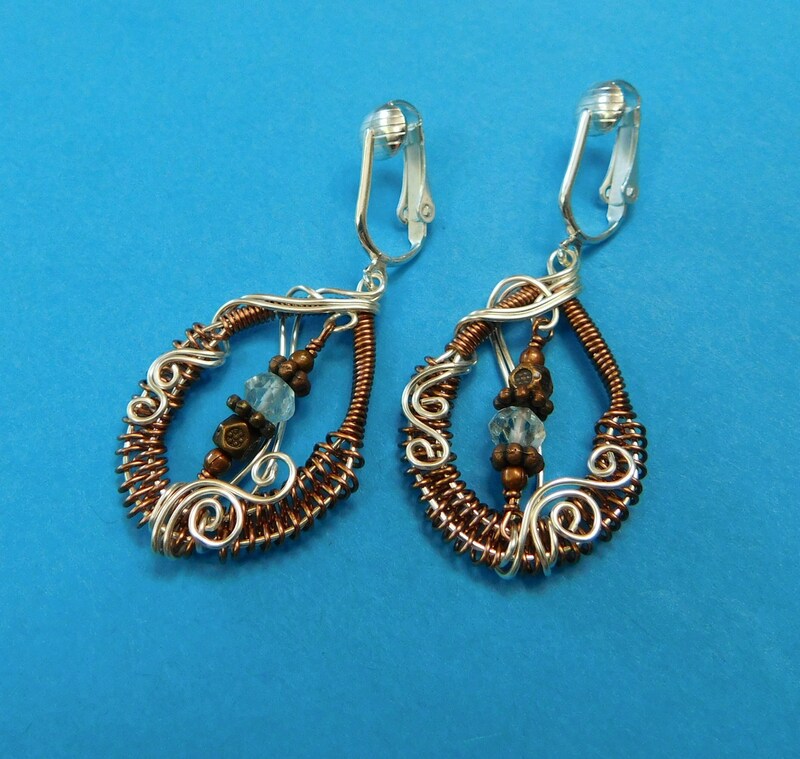 Non tarnish fine silver over copper wire and antique tone copper wire are woven together to frame tiny faceted aquamarine beads, and embellished with copper accent beads. 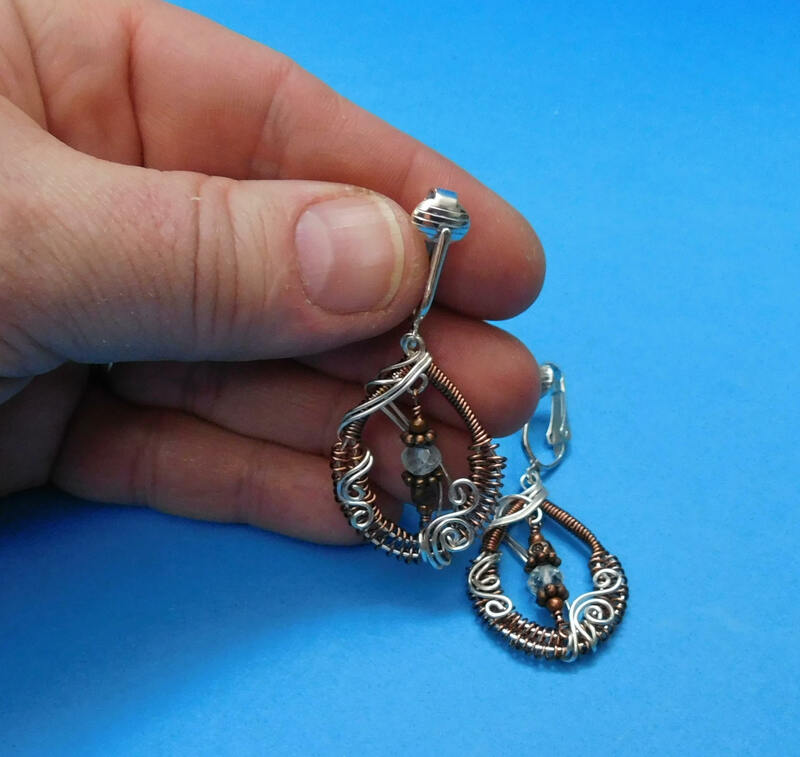 The earrings measure 1 inch wide by 1 1/4 inch high and are suspended from silver plated pierced look clip on ear clips. 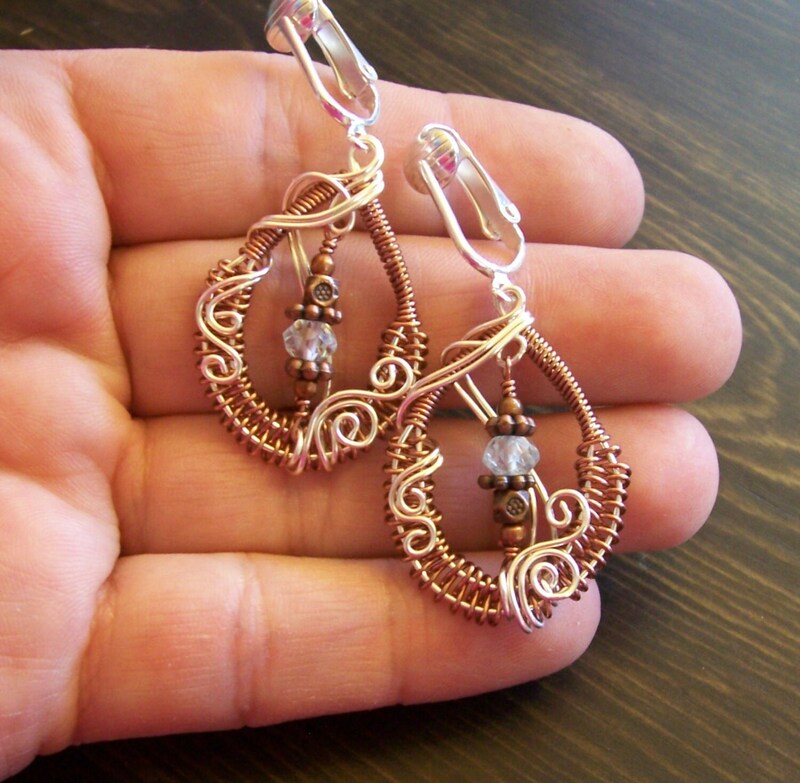 The earrings are light weight and the clips are comfortable, secure and attractive.